Once reserved for royalty, blood oranges remain a coveted gourmet ingredient, with the exotic-looking citrus fruit expected to be an essential ingredient in Australian kitchens and restaurants this winter. 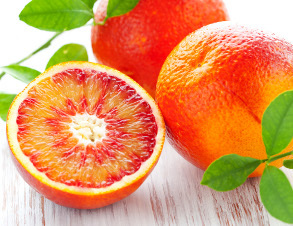 CEO of Citrus Australia, Judith Damiani, said with their striking crimson flesh, unique berry flavour and nutritional value, blood oranges were the ideal fruit to transform an ordinary dish into a gourmet masterpiece. “As well as an unusual appearance, blood oranges have a raspberry like flavour in addition to the usual citrus notes, making them a truly unique fruit which can enhance salads, desserts and cocktails,” Damiani said. “There’s certainly something opulent and mysterious about this one of a kind fruit which contains a rich blend of vitamin C, folic acid, calcium, vitamin A, antioxidants and fibre,” she said. “This delicious variety looks like a regular navel from the outside, but has a brilliant red flesh with slightly less acid than the usual navel varieties,” she said. Damiani said the amount of blood and red-pigmented oranges grown in Australia was rising to meet demand, with more than 50,000 extra trees planted over the past 5 years. The Australian blood orange season runs from August to October, with Citrus Australia saying that fruit quality and quantity this year are expected to be outstanding. Since first tasting Cara Cara oranges I have been on a quest to find more. The original supplier, Coles Supermarket in Wallsend NSW, has not had them since. The staff at produce dept. there had no plans to order more. Why? Why? They (the Cara Cara) are the most delicious, exotic and beautiful fruit but is no grower publicising their virtues? Where can I find more? Would they grow in the Newcastle area of NSW?